The luteal phase is the second half of a menstrual cycle – the time in between ovulation and the onset of the next period. The average luteal phase lasts 14 days. Although its length can vary a little from woman to woman, as well as from cycle to cycle, there is a problem when the luteal phase is longer than 17 days or shorter than ten days.A luteal phase that is insufficiently long to allow a fertlized egg to be implanted into the lining of the uterus is referred to as a Luteal Phase Defect, or LPD. Most doctors will diagnose LPD if a woman’s luteal phase lasts less than ten days. The problem with Luteal Phase Defects is not a lack of ovulation, or difficulty for an egg to be fertilized. Women who suffer from Luteal Phase Defects can often get pregnant with no difficulty, but because the luteal phase is too short, the fertlized egg will simply be washed out together with the endometrium at the onset of menstruation. LPD has three main causes. When the corpus luteum, the small “bag” that forms from the ovarian follicles that is responsible for expelling hormones that help sustain early pregnancy, does not produce sufficient amounts of progesterone, it will result in a luteal phase that is too short. Additionally, the uterine lining in which an egg would normally implant may not form properly, or may even fail to develop at all. Another possible cause is a lack of Follicle Stimulating Hormone or FSH, which plays a key role in the development and maturation of ovarian follicles. Again, this prevents the corpus luteum from fulfilling is duties. It is important to stress that failure of the corpus luteum can even manifest itself when the ovarian follicles were fully formed. Luteal Phase Defect can be treated with a variety of medications and herbal treatments, depending on the root cause of the LPD. Vitex and Vitamin B6 are often cited as natural remedies for hormonal imbalances that cause LPD. Progesterone cream and even Clomid are more invasive methods of attempting to cure a Luteal Phase Defect. If you have personal experience with Luteal Phase Defect, I’d love to hear what you are doing to try and cure it, or how you succeeded in lengthening your luteal phase. 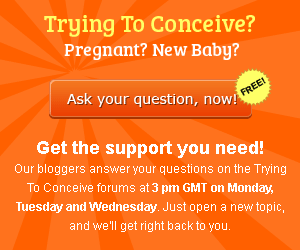 Did you get pregnant after having a Luteal Phase Defect? Please tell us your story!